Dakota and I have officially made it to our three month anniversary!! We’re not the type to celebrate month anniversaries but I thought I’d do a little post/update on how these past few months have been as Hubz and Wifey. Half of me feels like the past three months have crept by so slowly and the other half feels like we’ve married for three years already! 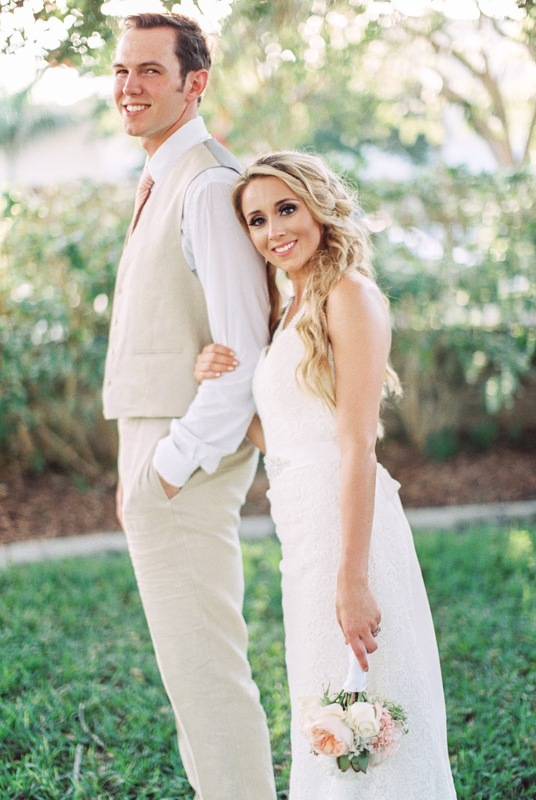 After the wedding, life drastically slowed down. I went from planning a wedding, completing two degrees, and being in a sorority, to becoming a little housewifey with not much to do all day! And I’m sure not complaining (I adored being a housewife)! The first two weeks after our honeymoon were spent soaking up every minute with each other and getting our house fully settled in. I loved that time we had together before Dakota had to start working. Dakota's first day of work! Once Dakota started working, I stayed home with the pups and made sure the house was clean, dishes and laundry were done, and spent most of my time looking for a job and working on my blog. Dakota was amazing at keeping me encouraged and positive during my long search for a position that I thought was right for me. Besides working, we’ve had fun catching up on the latest movies that have come out and getting to know this new city we’re in. Sushi dates are our favorite! Though we haven’t been married for long, I have definitely learned a lot in our three months and I would like to share some of that with yall!! Communication can seriously make or break a relationship and we’re still learning what works best for us in this area! As a person who likes to hold things in, I have quickly learned that that won’t work in our marriage. It’s so important for me to come to Dakota and let him know what’s going on with me and fully engage him on how I’m feeling! This has been difficult for me because quite simply, I’ve been in a major rut lately with being in an unfamiliar place. I’ve been learning to place my pride aside and realize that it’s ok for me to be upset but I have to clue him in on why I’m upset! Thankfully, I have such an amazing and patient husband who realizes my weaknesses in these areas and loves me through it daily. Not only have I learned that talking is important but how we talk to each other is equally important. The power of encouragement has been huge in our relationship lately! We both have different worries and concerns that can consume our daily lives but encouraging one another has been so uplifting and positive for our marriage. We try to remind each other that God has the ultimate say and purpose for our life and that’s all we need to know! Praying for each other when we know the other is dealing with some tough stuff is a big way for us to keep God first and encourage them through our prayers. I believe we’re meant to be each other’s biggest cheerleaders in this life, however, I’m also someone who is very realistic. I’ve been feeling God whisper to me to allow myself (and Dakota) to dream big! Regardless of how unrealistic something may seem, we have a God that is so much bigger than our dreams so I know He can definitely make our dreams happen! Grace has been an absolute must for us. With us both working full-time jobs, we’re around and dealing with so many different people and situations throughout our days. This means we can often become annoyed or frustrated with our circumstance and we bring that home at the end of the day. This is where grace is crucial! We’ve been working so hard to understand that a bad mood or ill attitude isn’t always the result of each other and we may just need to dish out a little bit of extra grace that night. I, especially, have had to give myself a lot of grace lately. With starting a new job, I feel like my role of being a wife has been slacking majorly. Thankfully, Dakota is always there to assure me that it’s okay that our sink is full of dirty dishes because life won’t always be exactly how it is right now. He understands that I can get stressed easily and sometimes I may come home and just need a few minutes to myself, though I haven’t seen him all day. And in those moments, I need grace from God, Dakota, and myself to realize I need to get myself in check and let go of the worry and stress of the day. 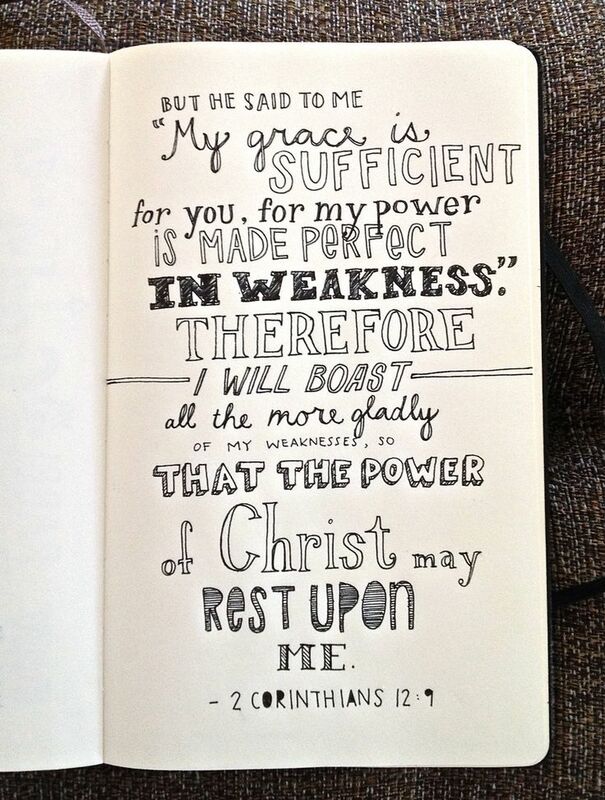 This is where living out 2 Corinthians 12:9 means so much to me. I’m so very thankful for Dakota and for having a husband that cares about how I feel. He reassures me and encourages me when I’m down. He listens to my wants and needs and does whatever he can to meet them. He dreams big and I’m so excited to see which dreams we decide to fulfill together! He prays for me constantly and leads me to Jesus when he knows I need it most. 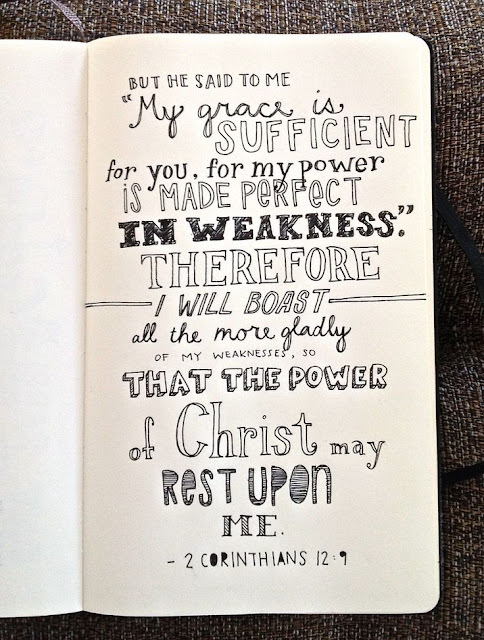 He shows me grace in my worst of moments. I honestly couldn’t imagine doing this life without him, especially in this specific season! I’m sure God will continue to reveal and teach us things in the next few months and years of our marriage and we’re SO excited to see where we end up. What are some things has God taught you in your marriage lately?